Kiyomi Lim's Site. : Body fats vs weight, a.k.a how I lose weight. Body fats vs weight, a.k.a how I lose weight. As you all know, I have been complaining that I have gained lots of weight and have been wanting to shed them. Many readers have been asking me to share how to lose 2 kg in a week as I said that I aim to do so. Honestly, I am not very very skinny not very fat. I am an average sized girl. I gained 2 kg 2 weeks ago and I lost 1.6kg up till now (in 5 days). Many have been asking me how I lose weight and such, so I would love to share some 'concepts' I have gained recently which helped me lose my body fats. So first of all, we have to know what's our body fat percentage then set a goal. It's not 100% accurate but at least to a certain extend. I started off the 22.5% body fats when I was 45.8kg, which was really heavy and 22.5% fats is considered.. Fat.. Like, to many people. 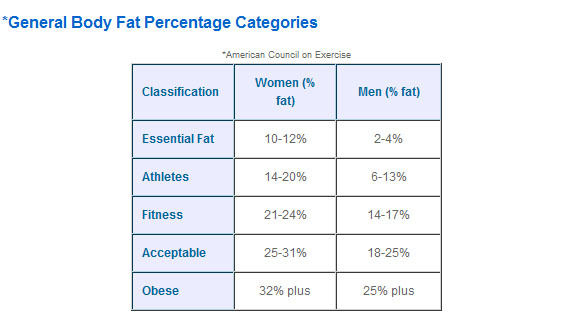 In fact, 22.5% fat percentage is.. Average. However, I would love to lose as many fats in my body as possible! Losing weight isnt practical as we will need to build some muscles to look good too. Being too boney isn't a good choice as you will end up facing health problems. Moreover, Japanese teen magazines now a days have been focusing more on losing FATS the healthy way. People aren't interested in your weight now, I guess, it's more about your fat percentage. In order to lose fats, eating less isnt as helpful. Eating more protein foods and less carbohydrate do help a lot. I have been eating lean meat and abstaining from food with carbohydrates. I don't really eat fast food either, I do eat MOS burger's vege burger though. You will need to eat lots of fruits too. I am really a free and easy person, so I did not plan any diet plans. All I did was to keep reminding myself that, "you can eat 3 meals a day or even more, just don't eat too many carbs or any oily oily stuffs". I have been jogging for 1 hour each day (everyday). Everytime I go jogging, I realise that I can jog faster and faster. Today, I was able to finish 4km in 20mins, which was previously impossible for me. In total, I jogged 8km in total for 1 hour. I guess jogging is like persevering, it's not about stamina or whatever. I believe that stamina is achieved by one's will power. I couldn't finish my 2.4km run when I was in secondary school back then, to think that I can jog so much better now, I really feel good about myself! Haha. I just weighed myself and noticed that I am now 44.2kg and in case you don't know, I am only 1.58m tall. My body fat percentage (according to the web) is now 20.8%. which I think is possible at the rate I am going now... Maybe 1 year later? So after reading this post I've done, are you all geared up to exercise too? Hi Sheryl, you obviously didnt understand my post. Congrats on your weight loss but you've got it wrong babe, body fat percentage does not depend on weight. It's measured by a pinch test/other methods which require medical equipment. Which is why, for instance, a muscular 45kg girl can look as skinny as a 38kg girl who doesn't have much muscle, since 1kg of muscle has a smaller volume than 1kg of fat! i 'm 12.2 LOL i was really shocked , but i still wanna be slimmer ! jiayou ! im 18.8% ~ omggggg T-T"" you are skinnier AND taller than me...but like 4cms taller hahahahaaha! im now inspired to lose weight now *-* but i know i'll be so lazy to go jogging even though i pay for a gym i only use like once a month Zzzz force myself! !